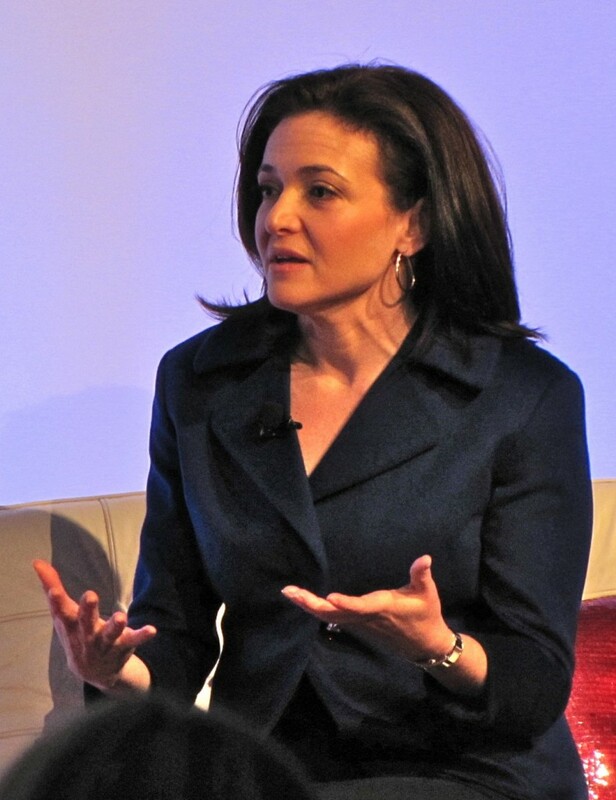 2012 will be the year of Sheryl Sandberg. For those who don’t know her, Sheryl has been the Chief Operating Officer of Facebook since March 2008 and was named the 5th most powerful woman in the world by Forbes in August 2011. Before Facebook, Sheryl was VP of Online Sales and Operations at Google. She also graduated with an MBA from Stanford. Yes, Sheryl is brilliant and successful, and you probably think that is the reason why she is the subject of my first “Great Minds” blog series. Her career inspires me indeed, and must inspire a lot of hard-working women in technology. However, what will make Sheryl stand out in 2012 is not her hard work or her professional ascension, but the movement she is currently creating to break the glass ceiling that prevents women from succeeding. It all started in December 2010 when she held a TED Talk called “Why we have too few women leaders”. This very inspirational speech highlights how women themselves have a propensity to increase the barriers to their own success. How so? By slowly switching from the need to stand out as an individual in the society, to the inevitable desire to build a family and fulfill their maternal responsibilities as defined by this same society. And this is when it stops working. Even in our modern societies, women still feel the obligation to abandon their career to dedicate their time to their children, while men have the possibility to maintain their individual path even after starting a family. This is how traditional families have been defined by our society, and that image changes very slowly, if ever at all. Because our societies don’t evolve as fast as our economies, the gap between the social roles predefined for us by the society and the opportunities offered by our modern economies tends to get bigger and bigger. When we are young and freshly out of college, this gap doesn’t really matter; we choose to follow the opportunities that match our individual desires. However, the older we get, the more we feel the need to make decisions that will make us “respect” the social roles that have been predefined for us. That needs to be changed, and this is what Sheryl is trying to do. Sheryl decided to adopt the “masculine” way of thinking when making decisions for her personal career. She did not refuse opportunities to enhance her individual career even when she started building her family. As she explained when interviewed by Business Insider, this has been made possible by her husband’s ownership of half of the parental responsibilities. I decided to feature Sheryl in this article because she thinks out of the box. She encourages women to start thinking like men and stop feeling the obligation to fit into the social roles traditionally assigned to women. And this is mainly why she inspires me. As she mentioned during her talk, we won’t change our entire system in one generation. However, we have the power to destabilize and question those social roles in order to make them ready to be redefined by future generations. Then, and only then, will we be able to recreate social roles where familial duties and individual careers are not determined by the gender, but according to individual desires. Great article, Doriane. I think you nailed it and I’m happy to see more people writing about this issue.